It varies from person to person and company to company, but there is a point when the employee's commitment level may drop off. Research suggests that commitment will often follow a pattern similar to what happens when an employee takes an overseas assignment: Their experience will start off in the first 2 months as a “fascination”—everything is new and exciting. However, between months 3 to 5, commitment sometimes take a significant fall, as the reality of work life sets in. Fortunately, starting around the 6th month or so, the employee will often adjust and adapt to his or her new surroundings, thereby resulting in a more moderate level of commitment going forward. So as an employer, what are some of the warning signs to look out for to ensure your new employees don’t lose their commitment? We spoke with ERC's consulting department about how to recognize signs that employees are losing commitment to their job and some ideas to ensure that you are doing everything you can to keep employee commitment as high as possible. To some, employee commitment is synonymous with “engagement.” According to one Gallup study, 70% of workers are not committed to their jobs. To put it another way, for every 10 people you employ, only 3 are actively engaged. What’s worse is that 5 are not engaged and 2 are actively disengaged. Dissatisfied workers are absent more frequently, are not engaged in their work (daydreaming, socializing, web surfing), and are more likely to quit if a better opportunity comes along. Needing fulfillment. Employees could have a number of things they seek from a given job, whether they be social, financial, etc. So if the employee feels those needs are not being met, there will be dissatisfaction. Expectation discrepancies. At times, employees will believe things were promised to them, whether it’s a raise, promotion or even more responsibility. But when it doesn’t happen, the employee becomes disconnected and commitment to the job is lost. Work value attainment. This can happen when the employee’s values and the company’s values do not align. In many instances, this happens with religious and spiritual beliefs. Equity or fairness. Most employees have a strong sense of justice or fairness—especially in the workplace. For example, employees may question the fairness of another team member getting a raise, a promotion, or some other form of recognition and reward. Here are four specific signs that could be characteristics of disengaged employees. Exit. The employee may remove themselves from the troublesome person or environment that is causing that dissatisfaction. Or the more extreme approach is for the employee to quit the job or ask for a transfer. Voice. When dissatisfaction happens, the employee might say something to the person causing the dissatisfaction, or to anyone else who will listen. They may even go to more drastic measures and quit or transfer to another position. Loyalty. This employee feels a loyalty to the employer and organization and will decide to wait to see if the situation will improve before eventually deciding to leave the organization. Neglect. This employee will reduce his or her work effort and quality because they feel a disconnect to their job or organization. They will also increase their absenteeism. 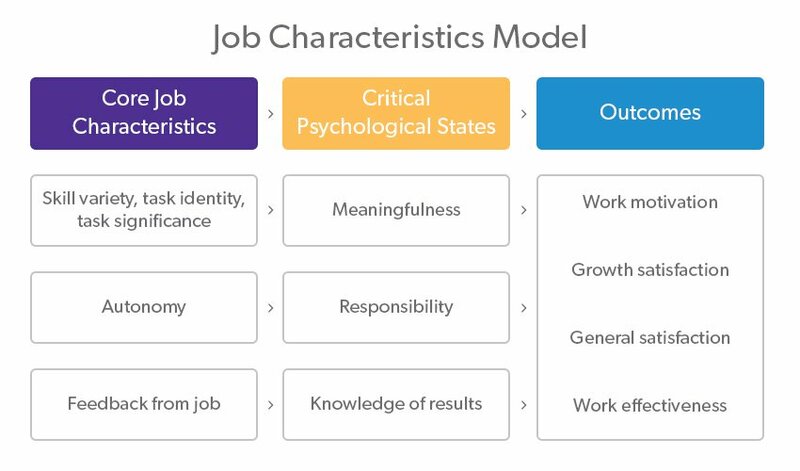 When the warning signs are present, Topor explains several different ways employers can strengthen an employee’s commitment level, including job re-design, applying the job characteristics model (JCM), and alternative work arrangements. By assigning tasks, structures, and authority to a job, including the interdependence of the job with other jobs, they can re-design a job to be more motivating and one that an employee is more committed to doing. Some job re-designs simplify job standards and work procedures by assigning people to clearly defined and highly specialized tasks. Job enlargement. Also known as horizontal loading, this enhances the job range and provides more variety by adding more specialized tasks of comparable difficulty. Job rotation. This enhances the job range and provides more variety by moving employees from one specialized job to another. Skill variety. A more motivating job is one that requires a number of different activities using several of an employee’s skills and talents. Task identity. A more motivating job is one that requires the completion of a “whole” or an entire piece of work from beginning to end with a visible outcome, or at the very least, understanding one’s tasks relative to others’ tasks. Task significance. A more motivating job is one that has impact or meaning on the organization or others’ lives. Autonomy. A more motivating job is one that grants employees the freedom and discretion to plan, schedule, and perform their jobs as desired. Feedback from the job. A more motivating job is one that, by itself and with no input from anyone else, allows one to gather information about the effectiveness of his or her own performance. Another option employers can provide employees is any number of alternative work options to help improve his or her commitment level. Such arrangements are common in many contemporary organizations since they are designed to provide work-life balance and increase employee motivation, performance, job satisfaction, and commitment. Compressed work weeks. This is any scheduling of work that allows a full-time job to be completed in fewer than the standard five days. Flexible work hours. This option gives employees more choices when it comes to scheduling the start and end of their work day. Job sharing. This is when one full-time job is assigned to two or more people who then divide the work responsibilities accordingly. Topor also urges that a key component of employee commitment is “individualized consideration.” He encouraged employers to talk with their employees to find out what they value. For example, if an employee has zero interest in sports, rewarding them for a job well-done with suite seats to a basketball game will have little motivating impact. Employee commitment is critical to organizational success. If an employee is highly committed, they will work harder, longer, and with more focus. This will often lead to significant increases in productivity, service, and quality, which will ultimately result in more satisfied customers, more sales and profit, higher stock share price, and higher total shareholder value. 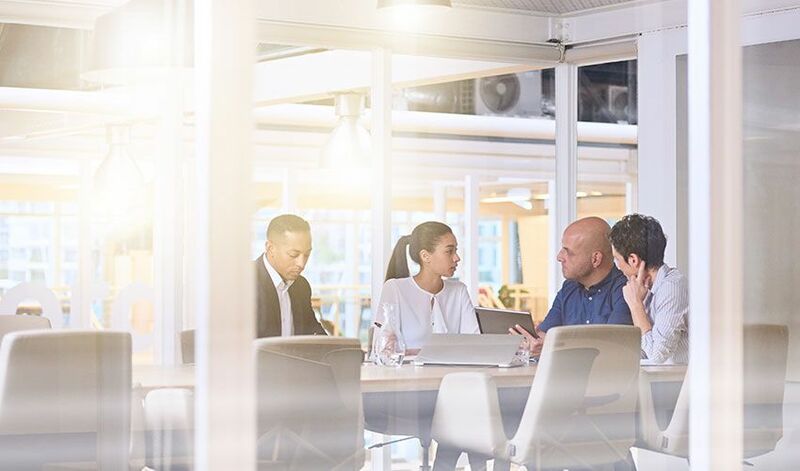 As if this isn’t already enough, higher levels of employee commitment will most likely reduce your recruiting and training costs—since fewer employees are leaving your organization. So…what are you waiting for? Now is as good a time as any to get ahead of the curve and keep the honeymoon going!